3D printing service by PROTIQ. Precise. Fast. Reliable. Additive manufacturing of the highest quality. Worldwide. How does 3D printing work on the PROTIQ Marketplace? Take advantage of our practical marketplace features and hold your individual 3D object in your hands within a few days. Upload your own CAD files and design your 3D model according to your requirements. Then select a 3D printing provider for your project. Immediately after the receipt of your order, the production order is fully automatically received by the Marketplace partner who is going to produce your 3D object. The manufacturing of your 3D object can begin as soon as we receive your order, so that your product is ready for delivery as soon as possible. Which method is suitable for my project? 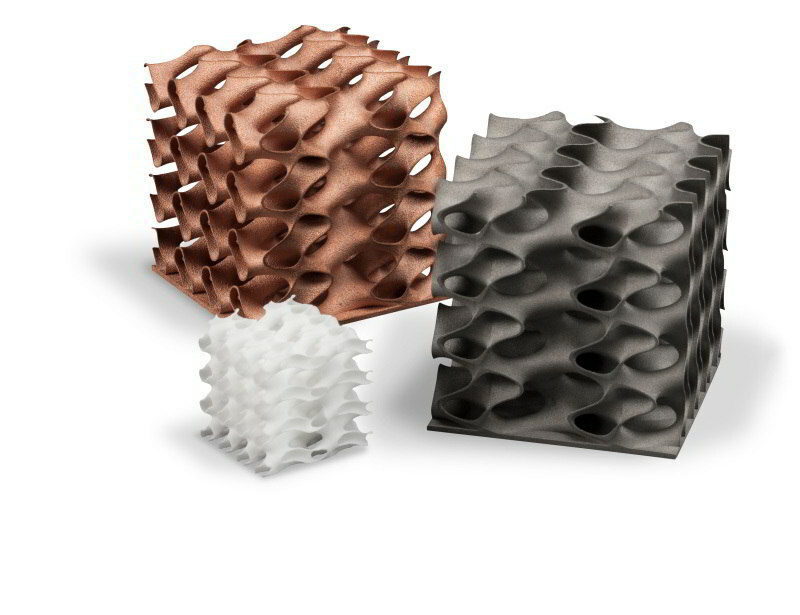 The various additive manufacturing processes used depend on the material from which a 3D object is to be manufactured. In selective laser sintering (SLS) and laser melting (SLM), for example, powdered materials made of plastic or metal are melted by a laser, while in stereolithography, liquid photopolymers are cured with UV light. What materials will be processed on the PROTIQ Marketplace? Plastics can be put to versatile use in 3D printing: We can implement almost any idea, from flexible models to functional and resilient components. Metal can create particularly complex 3D objects with undercuts or internal structures. At the PROTIQ Marketplace you will find suitable metals for a variety of requirements. Ceramics are used to produce precise (micro) components with thermal and electrical insulation properties, which, thanks to their exceptional temperature resistance, are suitable for use in extreme heat.